I heard someone talking about whitecaps and how they could be dangerous for boating but I am not sure I understand, what they were talking about. What are whitecaps and why should I be concerned about boating with them? White caps are named for the white caps at the top of waves. White caps are sign that the wind is picking up and that the weather conditions are getting worse and look like this at low wind levels. By the Beaufort scale these start happening at between 7-10 knots. Its even more dangerous if you are in a canoe as the wind can flip you. 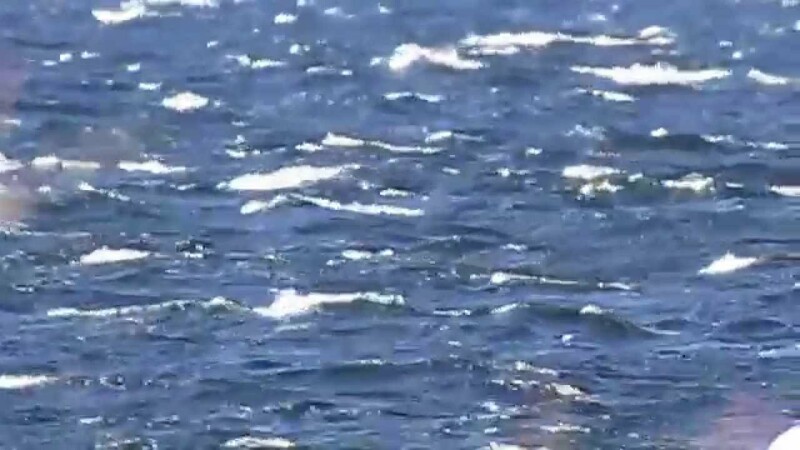 Wind and Waves – Whitecaps are a clear sign of dangerous conditions on the lake. Waves can overturn your boat (especially canoes), make it difficult to turn, prevent you from holding course, and slow or stop your progress. Wave conditions can be especially chaotic and dangerous in shallows and along shoals, cliffs and rock bluffs. Waves in open water can be much higher than those in protected coves or behind islands. Read “On Lake Champlain, The Wind Rules” (page 74) for further guidance. Simply put, rough water is water that is breaking in white caps or any scenerio where the body of water your in inhibits the control you have over your vessel, like slamming your boat around to the point where somebody or something could easily be thrown off, or soaking your engine and electronics in a manner that could leave you stranded. As well stated in another answer, whitecaps (the white tips of waves) are a visual indicator of local wind speed over the water. Just wanted to add emphasis that whitecaps, as an indicator of wind, will often appear before the local formation of the sort of short, steep waves (aka “wind chop”) that can be challenging for canoes and kayaks paddled by people who are accustomed to flat water. So even if such waves are not yet present the whitecaps are an indicator that waves may be developing. Even when relatively small these waves can be treacherous when coming from behind the paddler, due to the tendency of the canoe/kayak to unintentionally surf (gain speed on the face of the wave) and then broach (turn suddenly parallel to the waves) which, along with an unpracticed reaction from the paddler, can contribute to tipping. A paddler heading into the wind may experience exertion but no particular challenge with stability only to discover when they attempt to turn around that they are fighting to keep the boat upright. Not the answer you're looking for? Browse other questions tagged safety terminology boats weather water-sports or ask your own question.